PayPal recently sent out their 2016-2017 Security Roadmap. If you use Paypal to process payment, it’s critical that you review the list below and work with your webhosting provider to ensure your servers support the new standards. According to the dates released by Paypal, the only upgrade due in 2016 is “SSL certificate upgrade”. It’s due on June 17, 2016. You need to take action before June 17, 2016 to make sure you are not impacted by this update. IMPORTANT: There are no DAP updates required for this Paypal change. But this change can affect your server’s communication with Paypal and thus impact DAP. 1. Check for compatibility with the new SHA-256 certificate technology. If your webhost does not support SHA-256 currently, then they need to upgrade your servers to support the SHA-256 signing algorithm. If you want to check if you server is SHA-256 complaint, you can visit this website. Enter your domain name there and look for Signature Algorithm. It should say “sha256WithRSAEncryption”. If yes, you should be all set. If not, your webhost needs to upgrade your severs to support SHA-256 signing algorithm. In any case, please do confirm this with your Webhosting provider. 2. Check with your webhost to make sure that they do NOT use SSL connections that relies on the VeriSign G2 Root Certificate. If your webhost completes these checks/updates, you should be all set. Your site won’t be impacted by this upcoming Paypal upgrade. Again, no DAP updates are required to handle this new Paypal upgrade. Please work with your webhosting provider directly to prepare for this upcoming Paypal upgrade. ATTN: Action Required if you have upgraded WordPress to version 4.3 on your site. 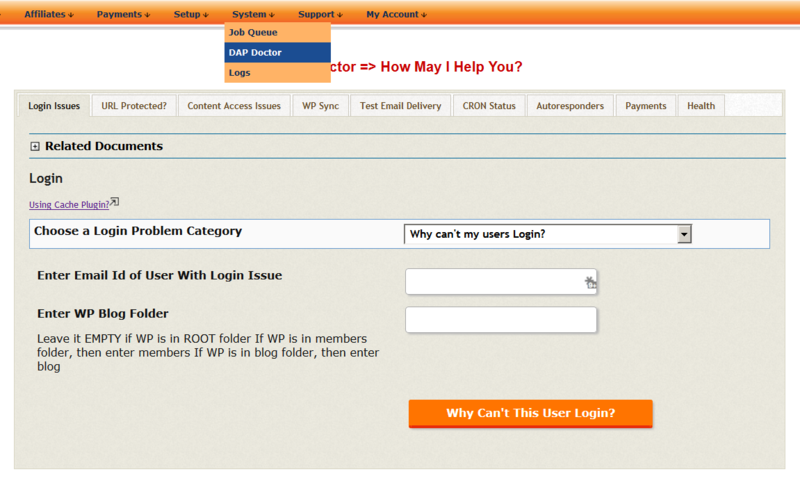 DAP does a full sync of the user account to WP (including password) during member login. The new version of WP is treating the sync similar to a ‘change password’ event and sending out an automatic and unexpected ‘password updated’ email to your DAP users (directly via WordPress). This will confuse your DAP users as they did not request a password change or update their password. 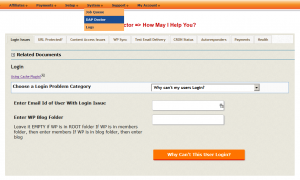 This email is getting sent during DAP / WP login. We have released a new version of DAP LiveLinks plugin (version 1.12.1) to address this issue. It will suppress the WP password-change email from being sent to your users. Suppressing this email is not going to cause any security issue because DAP does not allow users to update their password directly in WP. The password field is hidden from the subscribers in the WP profile page. The users can only update their password in the DAP user-profile page. IMPORTANT NOTE: You must be on DAP v4.8.1 or DAP v4.9.1 to use this new version of LiveLinks v1.12.1. How can I find my current DAP version number? You will find the DAP version number in your DAP admin dashboard -> footer section. No need to update DAP. Just download LiveLinks v1.12.1 zip file from your member’s area on our site. Extract contents of the zip file to your desktop and upload it to /wp-content/plugins folder. If you are not on DAP v4.8.1 or v4.9.1, then you will have to first upgrade DAP to 4.8.1 or 4.9.1. Then upgrade LiveLinks to 1.12.1. Download DAP v4.8.1 (OR v4.9.1) and LiveLinks v1.12.1 zip files from your member’s area on our site. a) You can use the DAP Easy Installer plugin to upgrade DAP and LiveLinks. 1. Download dap 4.8.1 or 4.9.1 zip files from your member’s area on our site. Extract contents of the dap 4.9.1 zip file to your desktop and upload it to the root folder of your site, overwriting the contents of the dap folder. 2. Download DAP LiveLinks version 1.12.1 from your member’s area on our site, extract contents of the DAP LiveLinks zip file to your desktop and upload it to /wp-content/plugins folder. This new version of LiveLinks v1.12.1 is free for all Dappers with current upgrades & support. If your access to DAP upgrades/support has expired, you can Renew your DAP Upgrades & Support to get access to this update. PPS: We are working on massively cool new DAP Admin features! It will all be part of the big DAP 5.0. We will also make the DAP 4.9.1 beta release final within a week. So stay tuned for that.